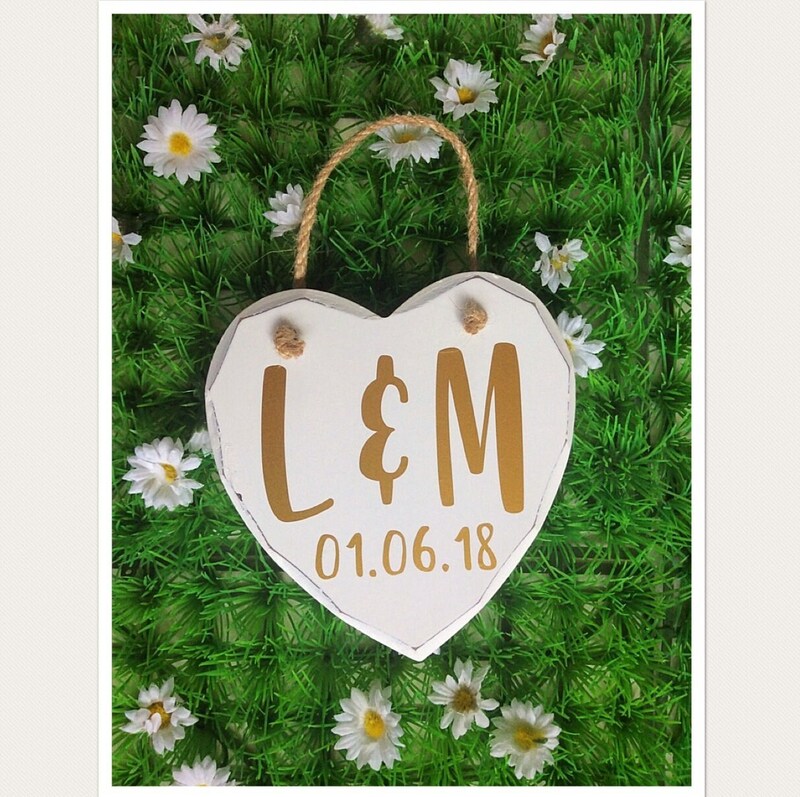 Personalised initials heart shaped hanging Wedding sign plaque, the perfect Wedding gift for the newlyweds! 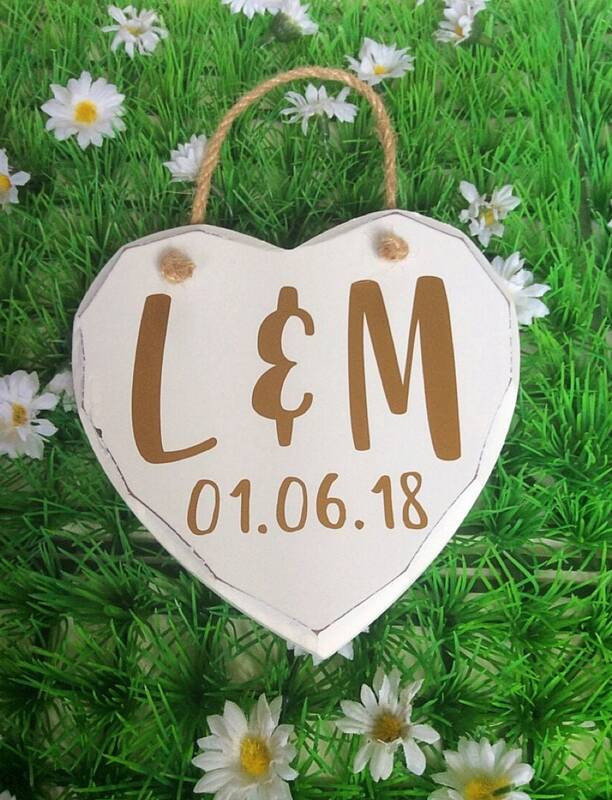 The sign is made from solid wood and is hand painted in white. Finished with jute string to hang up. Dimensions at largest width approx. 12cm. Dimensions from top to bottom approx 14cm. Please select your chosen text colour from the drop down list provided.